A tremendous amount of emphasis in your home or office centers on your furniture. Therefore, it is only natural that when it is time to get rid of the old items to make room for the new ones, you need a furniture removal business that will do the job efficiently. As the leading company for furniture removal in Phoenix, AZ, Phoenix Junk Hauling will change the way you think about furniture removal. After hearing your wishes for getting your unwanted furniture out of your residence or business, you will have the living or workspace you are dreaming of. ​We know that you want to get control back into your property and removing broken and outdated furniture is one way of doing so. Whether you want to get rid of a couple of chairs, desks, or you need the furniture in your entire business removed, we can make it happen. We want to bring back a sense of pride to your property. One way to do so is to remove unused, unwanted furniture items. You have finally made the decision to make your Phoenix, AZ area home or business more comfortable, and you want to enjoy the look. We will provide not only the first-class workmanship, but also someone who completes your job on time and on budget. As the business for exceptional furniture removal in Phoenix, AZ, we will remove your current furniture so that you can bring in new furniture that turns your home or office into a luxury and stylish oasis. We guarantee you will have a custom home or office that reflects your personal tastes and lifestyle. You do not have to settle for mediocre work when it comes to your furniture removal. Our crew gives you furniture removal that stands out from the rest. 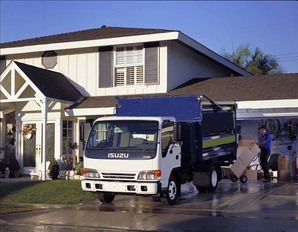 Regardless of the size of your furniture removal project, you have come to the right place. We promise not to let you down. Today’s rooms are more than just a place to sit and relax. Rooms are places to make individuals look good and feel good. A beautiful and functional custom-designed area can create an atmosphere that makes your and anyone else’s day. Our goal is to make removing the old furniture easier. We listen to your needs, answer your questions, and construct a personalized furniture removal job through insightful solutions and outstanding workmanship. 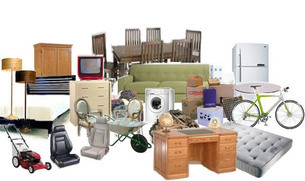 If you are ready to give your old furniture a send-off, use Phoenix Junk Hauling.